Paul J. Crutzen (b.1933) is a Dutch atmospheric chemist known for research on the ozone layer, introducing the concept of nuclear winter, coining the term “Anthropocene,” and joining with 27 other scientists to warn about planetary boundaries. Crutzen’s 1970s research on ozone depletion due to CFCs largely led to the Montreal Protocol. Along with two others, he received the 1995 Nobel Prize in chemistry for work in protecting the ozone layer. His 1982 paper, “The Atmosphere After a Nuclear War: Twilight at Noon,” co-authored with John Briks, introduced the concept of nuclear winter, a period of abnormal cold and dark due to dust and smoke following a nuclear war. 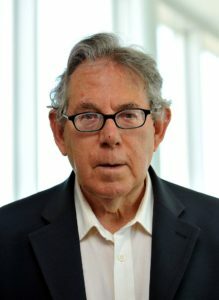 Crutzen introduced the term Anthropocene at a conference in Mexico in 2000, describing a new geological era following the Holocene that is shaped by deep human intervention in nature; he is a patron of the multidisciplinary Anthropocene Project to further exploration and publicity for this important new epoch. He joined with Johan Rockström, Will Steffen, and 25 other scientists to warn about planetary boundaries in a much-cited paper, “A Safe Operating Space for Humanity” (Nature, 461, 2008, 472-475). In recent years, he has proposed a method of cooling the global climate by releasing particles of sulphur into the upper atmosphere.